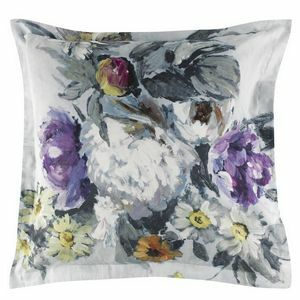 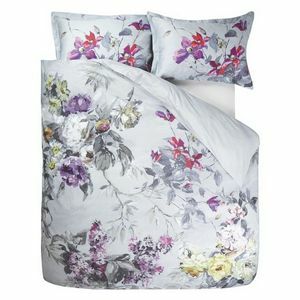 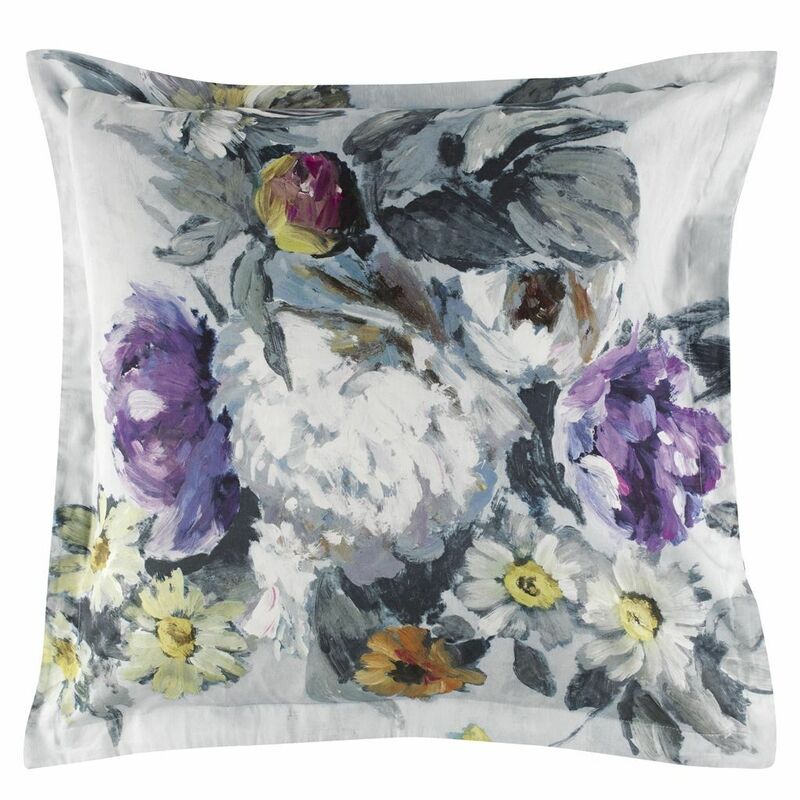 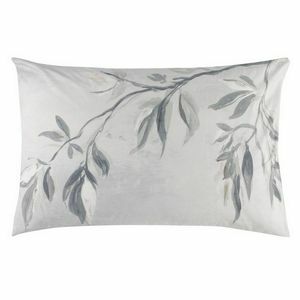 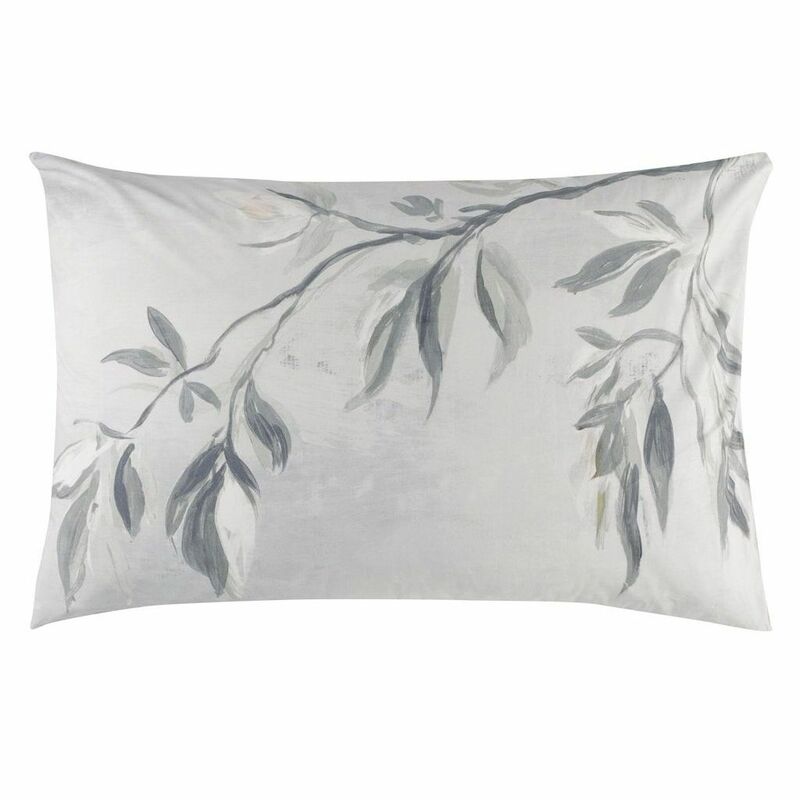 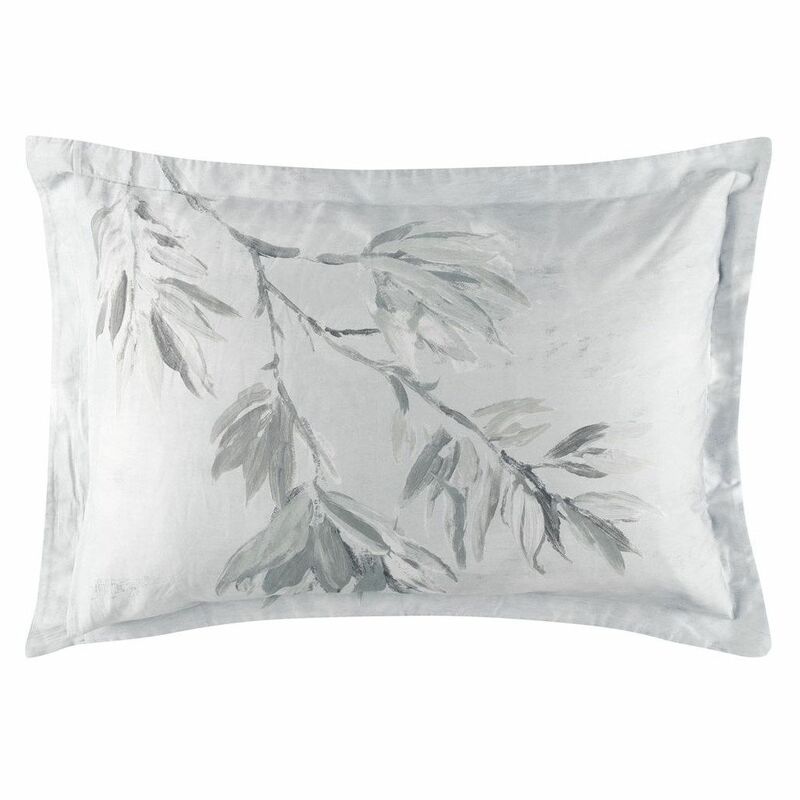 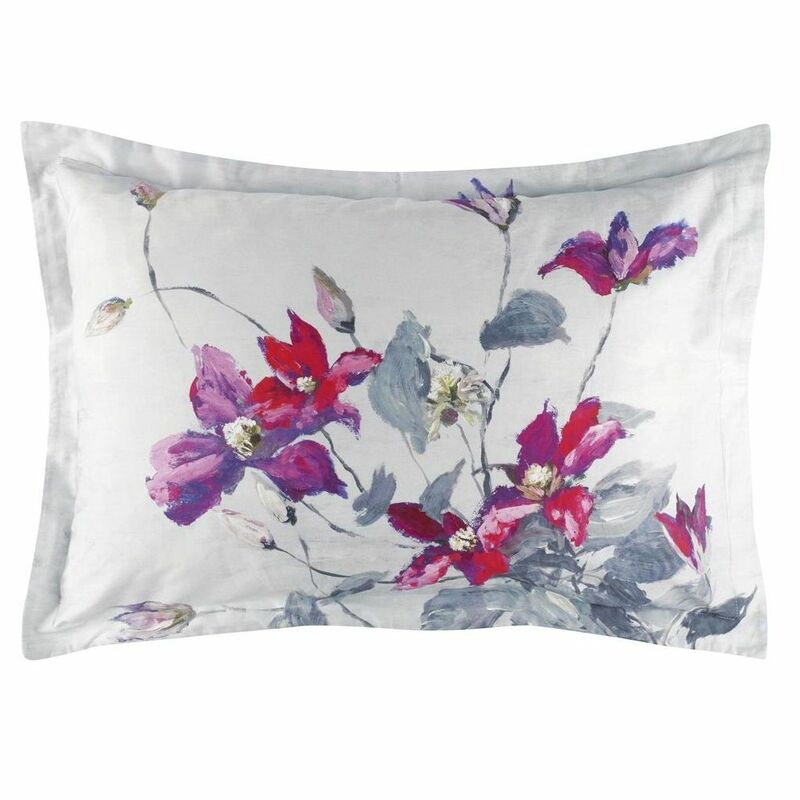 Designers Guild Caprifoglio Argento Bedding - Swatches may be available. This statement floral bedding design is an ornate composition of flowers and foliage set against a dramatic painterly sky texture in cool gray. 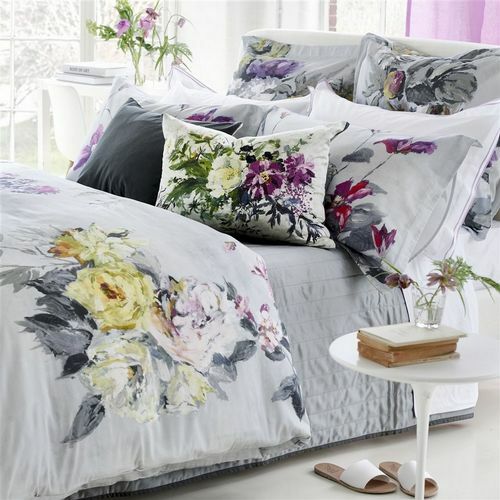 Colorful tones of pinks and warm berries with accents of lime yellow create a luxurious modern bedding design, digitally printed onto 300 thread count pure cotton sateen.